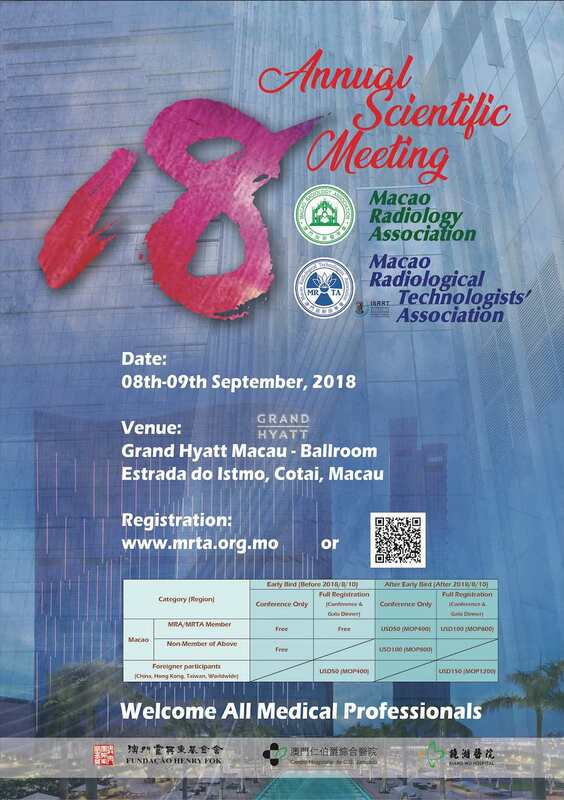 “The 18thAnnual Scientific Meeting of Macao Radiological Technologists’ Association” will be held on 9thSeptember 2018 at Hotel Grand Hyatt Macao. The theme of this year’s scientific meeting is “We are Professional”. Registration is opening now. Please click the “Registration” button above. The MRTA organizing committee welcomes all radiological professionals to submit abstracts for oral presentation or poster presentation. Notification email will be sent once your abstract is accepted. For further information, please visit the “Abstract Submission” above.